LinkedIn is a business-oriented social networking site used for professional networking. You can waste a lot of time trying to make Linkedin work for you if you don’t have some of the basics sorted. Today we’ll talk about how to promote your individual profile as well as company page on LinkedIn. This is an excellent platform for building both new and existing relationships for your business. 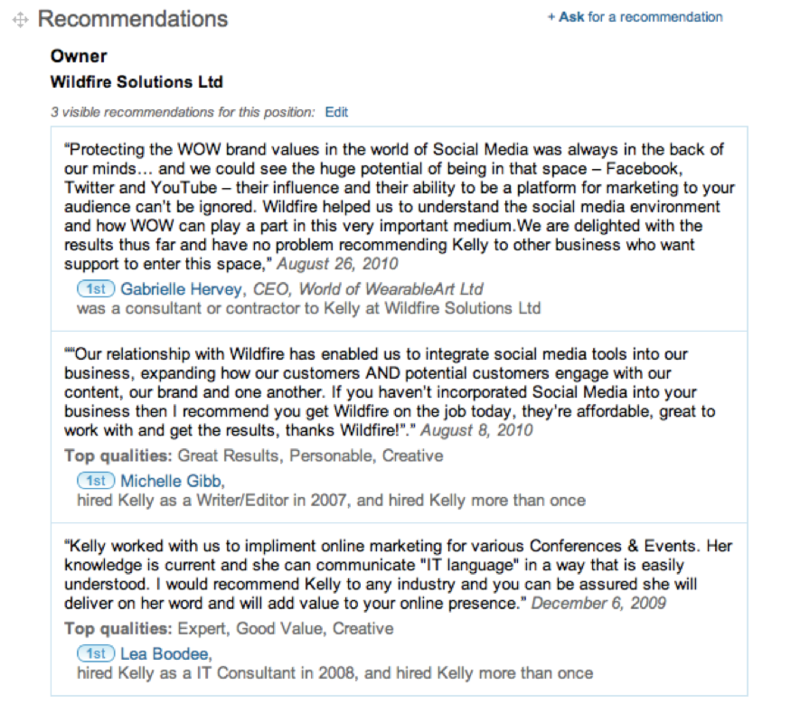 I would advise if you haven’t already that you establish a company as well as an individual profile on Linkedin. The following tips will help you to promote these pages effectively, while efficiently managing your time. Start linking with people that you do business with and follow those companies that interest you. Do not be concerned about the number of connections you have, focus instead on quality relationships and enjoy the networking potential and opportunities Linkedin will reward you and your business with. 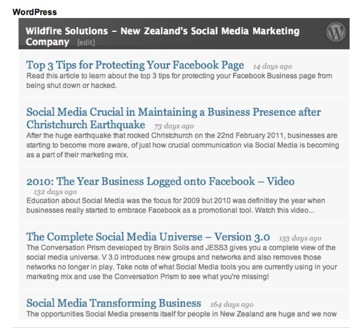 Add the WordPress application and this will automatically update your LinkedIn profile with your most recent blog posts, as shown below. While this adds value, it will also help to drive traffic. 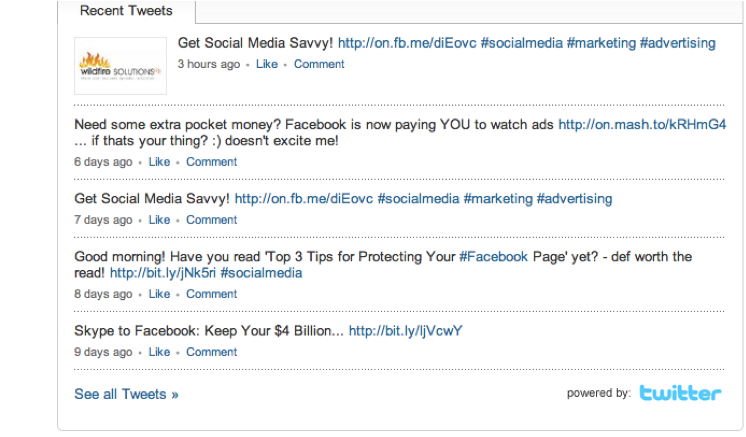 LinkedIn allows you to publish your tweets straight into Linkedin. Again, all the work is done for you as this application will automatically update your LinkedIn profile and page with your most recent blog posts, as shown below. It’s a great way to keep your Linkedin Profile fresh and keep in touch with your Linkedin followers. 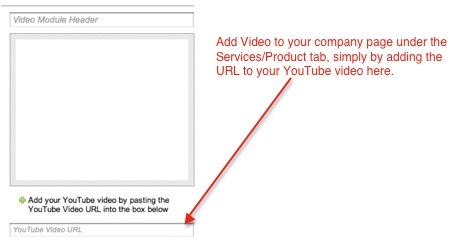 Stand out from the crowd and put a video on your page! The majority of profiles all look the same with just text and some imagery. A testimonial from an ecstatic customer or even yourself would be definite point of difference. Add the application to your individual profile by clicking here and for your company profile, follow the diagram below. You are able to give and receive recommendations and referral to other contacts and industry sectors. Your prospects will see those recommendations by people within their network first, which is definitely more valuable than coming from someone they don’t know! There’s plenty of other ways to promote your Linkedin profile and page, using effective social media marketing, but I’m sure this is enough to get you started! Let me know in the comment box below, if you would like further information on how to promote yourself and your business via Linkedin. Or you can visit our contact page to get in touch. Next post: Google Plus – A Threat to Facebook?